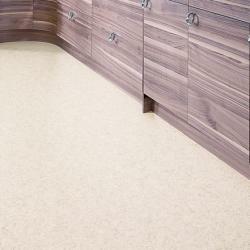 Are you looking for one of the most practical flooring solutions available? Then vinyl flooring is your answer. The range at Remland Carpets means you can find the perfect type of vinyl for your home or office. Through Remland Carpets you can find almost any type of flooring - our range of luxury vinyl flooring is a real hit with customers, we're sure you'll be impressed. This is an easy question to answer. 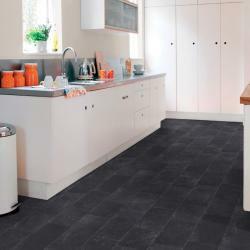 As well as being kind on your budget and easy to fit, vinyl flooring is an ideal choice for your home or office, especially for high traffic areas, because it’s so hardwearing. Many choices now come with a 15 or 20-year guarantee. 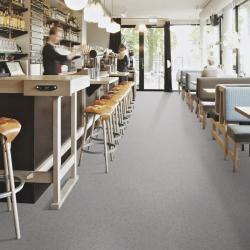 Vinyl can resemble any type of flooring imaginable. 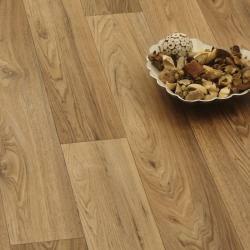 You can get the look of solid wood flooring or stone tiles without the price tag and maintenance. Our vinyl designs showcase a luxury, high-quality finish and are all easy to maintain. This is why we recommend vinyl as your flooring choice. Vinyl is known for its many benefits, but its biggest selling point is because of the price tag. Cheap vinyl flooring can be installed in any room, so your entire home can look exceptional without you spending a fortune. 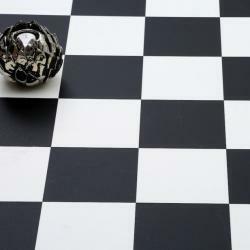 Vinyl can be obtained as rolls or luxury vinyl tiles. The design usually determines which one is most appropriate. 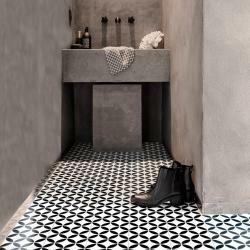 Laying both a roll of vinyl and vinyl tiles is very easy, tiles will take longer and therefore the fitting may cost more. Fitting a roll of vinyl is considered easier so it may be the best option for a DIY project. Vinyl is designed and manufactured with specific uses in mind. This is so customers can find a certain design which is ideal for a certain room or office. Yes, vinyl is no longer only used in the bathroom or kitchen. You’ll love the many stunning designs which opens possibilities to use it in other parts of your home and even the office. Use the categories below to help you decide where vinyl works in your home or office. This range is focused on helping home owners add a classic, stylish look to any kitchen. 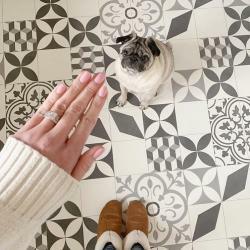 For an affordable price you can get a floor that resembles stone, wood or ceramics. Many styles and colours are available. Because vinyl doesn’t wear easily in high traffic areas it’s an ideal option for kitchens where families gather. Vinyl cleans easily, so any water or food spillages can easily be cleaned up. This makes it the wise option for homes with small children. These manufacturers make sure they stay in line with fashion developments, so your kitchen can be on par with the latest trends. When you think of your bathroom, both safety and aesthetics jump to mind. 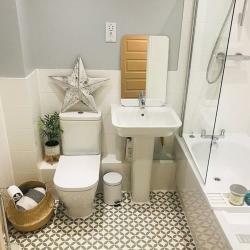 If you’re considering vinyl flooring, bathroom expenses will be much less, because all these features can be attained at an affordable price. What’s more is you can pick from a wide range of designs. You’re sure to find a colour or pattern to match with your décor. Wood is always in fashion. If you’re still debating about what to use, luxury vinyl flooring with a wood design may be the answer. 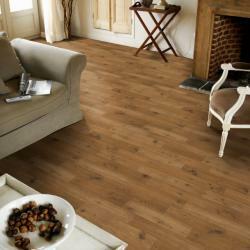 Wood effect vinyl flooring is available in a range of styles and colours. They resemble wood so closely, you won’t be able to tell the difference. Your home can get a classic look at a fraction of the price real wood floors cost. An added benefit of wood effect vinyl is that it keeps a room warmer than authentic wood and it won’t make you slip as easily. 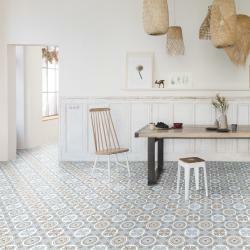 A vinyl tile can look every bit as impressive as real ceramic tiles. However, you may be more impressed by the vinyl option. Firstly you’ll love the price. Secondly, it will make rooms feel warmer. The range of designs means you can find a type for each room in your home. They are easy to install too, so perfect for DIY projects. Stone is such a luxurious look. Now you can acquire the stone look without paying the high price. The manufacturers of these products put a lot of effort into the detail, so your vinyl flooring will resemble real stone. Embossing even adds texture to the final result. 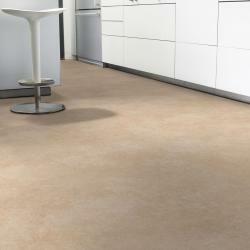 In contrast to real stone, these floors will feel warm to the touch and they’re slip resistant. It’s actually better than having the real thing! If you prefer a simple approach, plain vinyl is your answer. Even though they’re plain, they still look fashionable and modern. Simply pick the colour you require. Plain vinyl comes in a range of colours so you can pick exactly what you need. The fact that they’re thermally backed makes these flooring options an ideal type for schools. You can keep the room interesting by using bright colours, and practical because it will stay warm. All of these features come at an excellent price. Still unsure about the vinyl option for your home of office? The vast range may leave you wondering which is best. What room are you decorating? Pick a design which is appropriate to the room. The texture and design will match the requirements of the room. How much traffic does the room have? Thicker vinyl products are more resilient to the effects of high traffic. If you’re decorating a high traffic area, only look at vinyl that is of a thicker nature. What does the rest of the room look like? You want each aspect of your room to fit together. Visit our store so you can match vinyl samples with paint or décor pieces. Remember that you may want to re-decorate before the vinyl shows any sign of wear and tear. Pick a neutral colour or design so you can change other aspects of the room without requiring your floor the change as well. If you’ve got a colour or design in mind, most likely it’s already in our catalogue. We offer the easy answer to get your floors covered. You simply have to order online and we’ll deliver it to your door. Delivery is FREE when you spend over £49. What more can you ask for? We understand that certain customers prefer viewing a product before purchase. This is why we keep stock of products at our store in Folkestone, Kent. You can browse flooring products and see which ones match the rest of the room. 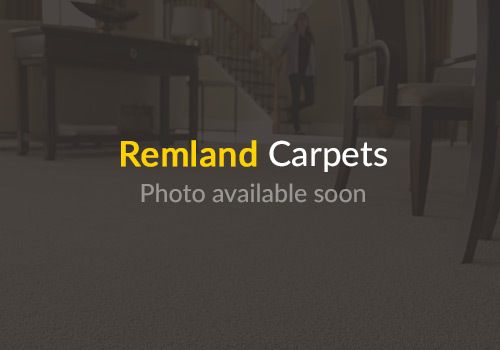 Remland Carpets prides itself in offering affordable prices on all products. Cheap vinyl flooring doesn’t mean low quality. You receive all the benefits of high-quality flooring at a price that suits your pocket. Instead of stocking one type, Remland Carpets offers you an all-in-one solution. Don’t waste time. 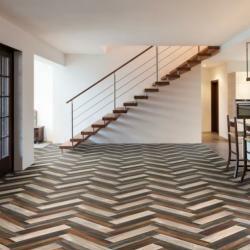 Get all your flooring items today. Our experts assist you from the start of the project. We can visit your premises, take measurements and give advice. 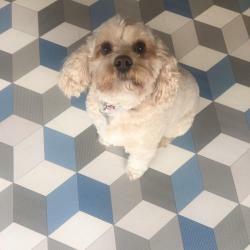 If you don’t want to attempt a DIY project, our fitters can even install the flooring for you. If your home is begging for a facelift, Vinyl is your quick and easy answer. Yes, you can even do it yourself. 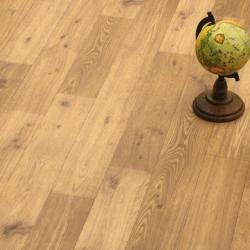 Luxury vinyl flooring looks stunning for years, but at some stage the top layer does wear out. The scuffmarks may prompt you to replace the flooring. The good news is that if you already have vinyl on your floors, a new layer can simply be put on top. No levelling will be necessary. Vinyl was first manufactured in the mid 1900’s. Asbestos was added to the formula because it added additional durability and made vinyl more resistant to fire. Unfortunately in those years the danger of Asbestos was not known yet. If your current vinyl floor dates back a few decades, it’s important you have it tested. The Asbestos in the flooring can have a negative impact on your health. Luckily, the solution is easy. You can get contractors to remove it, or put a new layer of vinyl over the current one. So you’re planning on installing Vinyl floors yourself? DIY projects are very possible with vinyl. Make sure your surface is absolutely level. You can use silicone to fill in gaps or holes. Make sure the silicone is dry before you start. The area must be completely dry. Remember to match the pattern of different vinyl pieces where applicable, before you stick them down. Home owners love vinyl flooring because it requires minimum maintenance. Still, your floors will last that much longer if you look after them in the right manner. Vinyl is durable, but it can still get damaged. 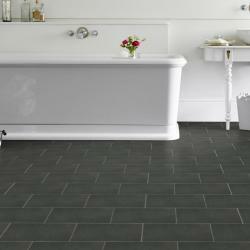 Make sure your luxurious vinyl flooring keeps looking stunning. Do you have heavy furniture placed on vinyl flooring? Put protective layers between the furniture and the floor. This can be a carpet or rubber. This will prevent deep dents forming. Does water accumulate in certain areas? This is possible in bathrooms or near a tap in the kitchen. Remove the water as often as possible. Even though vinyl flooring is water resistant, these pools may cause water to get into the layers and affect the glue keeping it down. Harsh chemicals can damage vinyl, so make sure the soap you use is vinyl-friendly. Always rinse with clean water, so there are no residues left. This can damage the vinyl and won’t present well. In high activity areas, substances can easily fall on the floor. This can be food, hair products and more. Clean up messes as soon as they happen. This will prevent damage and stains from forming. If you need any more information or for a quote call us on 0800 246 1099, visit us in store or use our online booking system to order your vinyl flooring today.